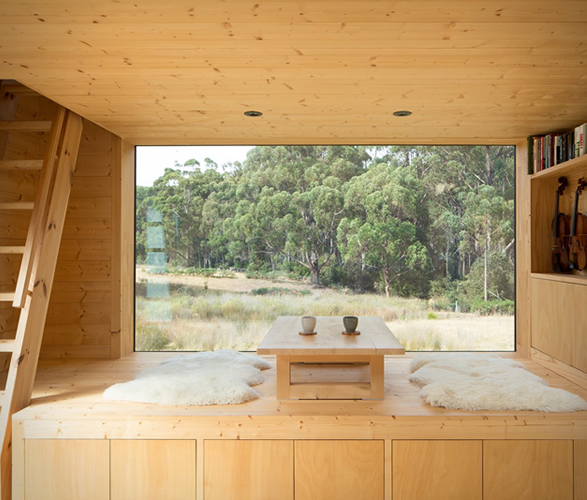 Set amongst the eucalyptus on an island off the southern coast of Tasmania, this spectacular tiny cabin is an escape from the high stress of the owner´s busy work life. 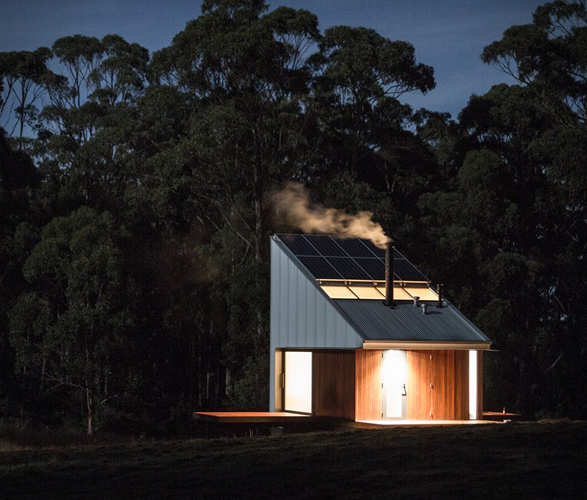 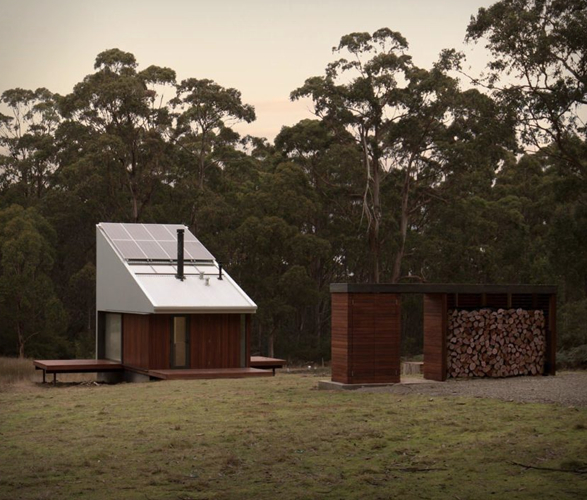 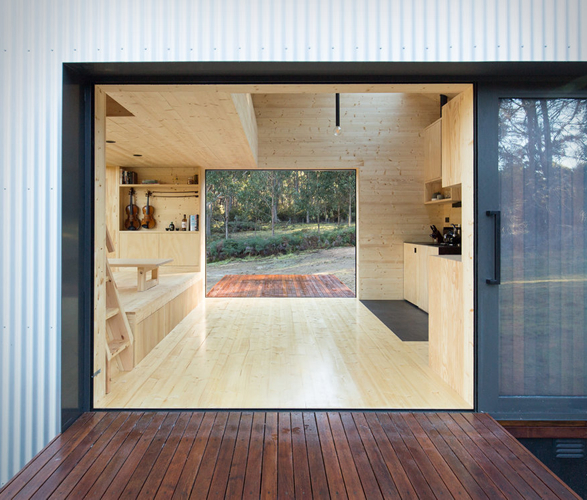 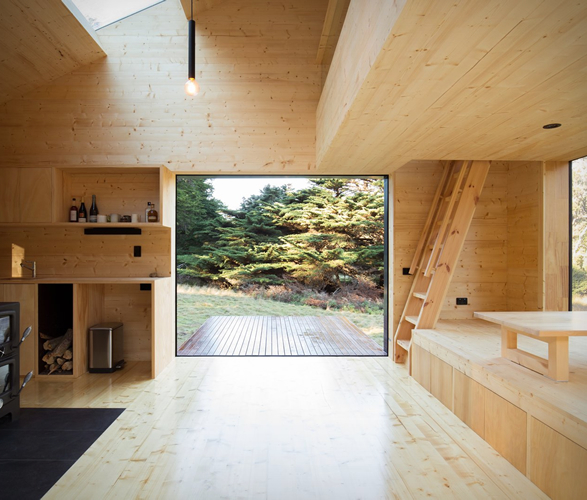 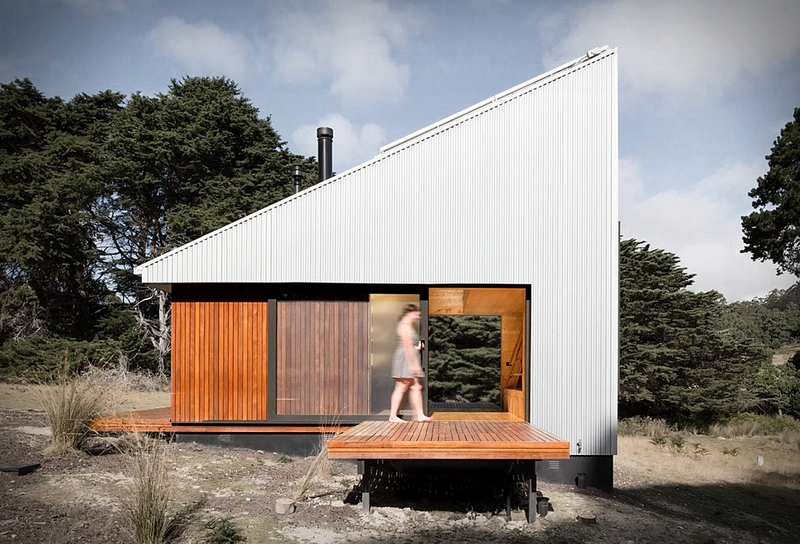 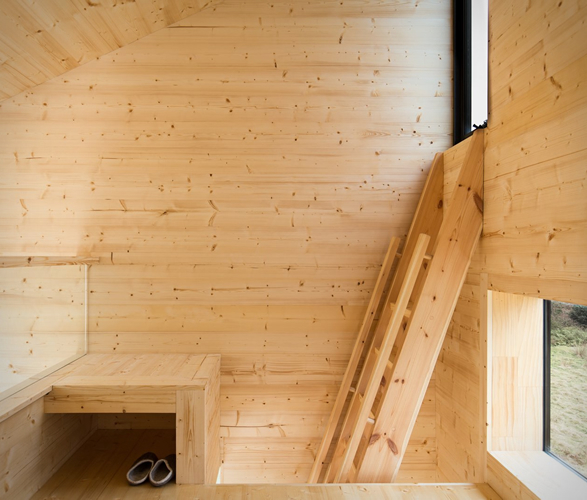 Designed by Maguire + Devine Architects, the minimalist cabin is completely off-grid, it collects its own rainwater (storage tanks are underground for an uncluttered look) and the roof sports solar panels. 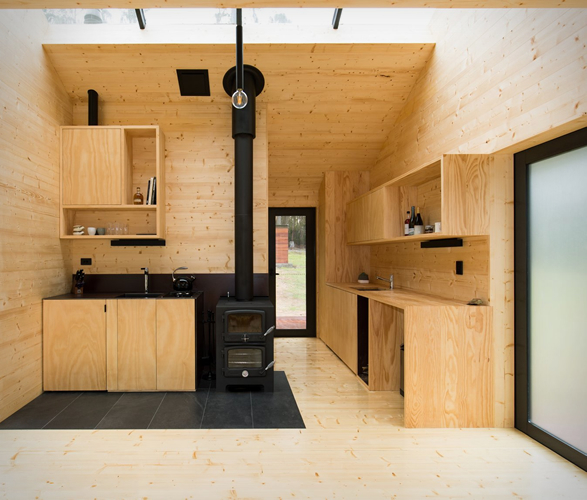 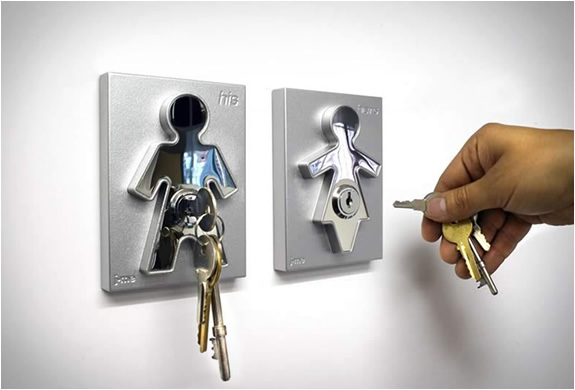 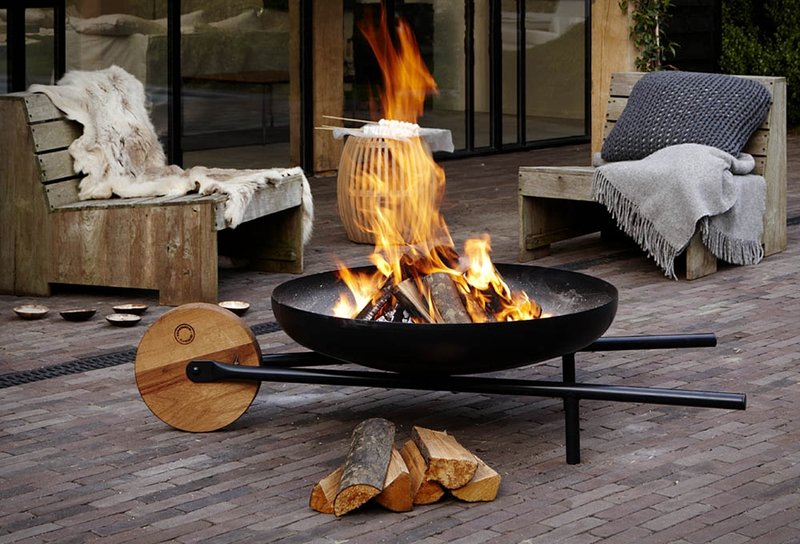 Inside, all furniture has been built into the design. 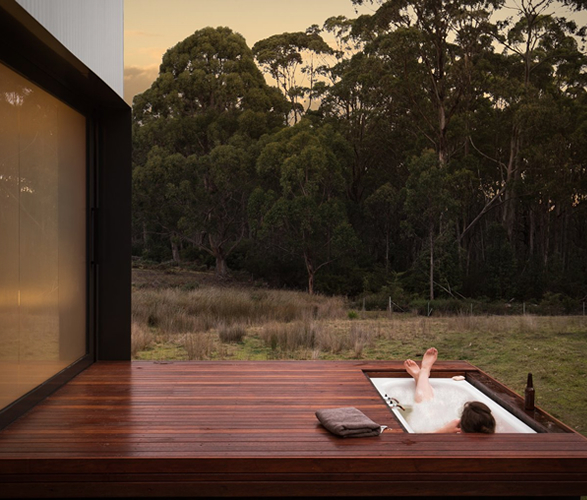 The cabin opens onto both an east and west deck, allowing guests to enjoy both morning and afternoon sun, and bathe in nature should they so wish in an outside tub inset in the deck, for a true retreat experience.